Tennis TourTalk is a tennis website and media outlet established in 2013. We travel the Tennis Tour with a focus on ATP World Tour, ATP Challenger and ITF World Tennis Tour events. We provide original content including tournament coverage, quotes, interviews and would also like to give you some impressions not only from the courts but also from the countries and destinations, where the tennis action is taking place. Tennis TourTalk readers come from more than 170 countries in the world. The majority is from the United States and Germany. 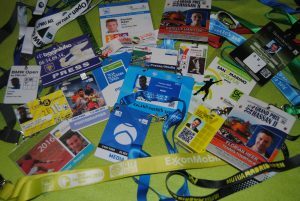 The site has been credentialed as media for numerous tournaments and events on the ATP World Tour and ATP Challenger Tour, as well as for the Davis Cup and Fed Cup. We always extend our global coverage, so if you are interested in writing, just contact us via e-mail. If you have any suggestions or comments, we will be happy to hear from you!